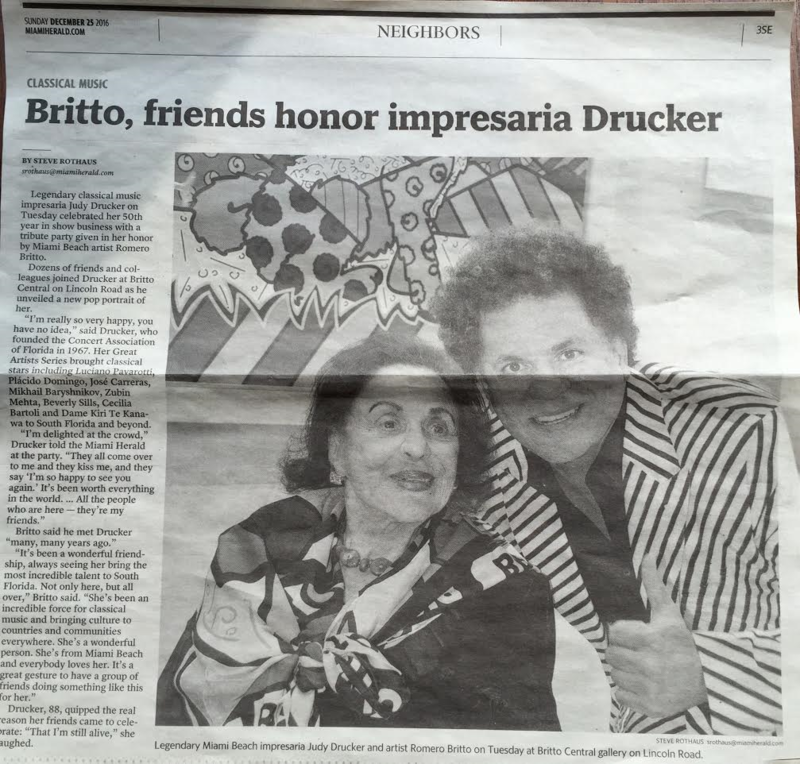 On behalf of the Great Artists Series and Mark Bryn, we would like to thank you for attending our December 20, 2016 Romero Britto/Judy Drucker/Great Artists Series Cocktail Reception at the Britto Fine Art Gallery honoring the Legendary Impresaria, Judy Drucker, on her 50th Anniversary of bringing classical music and dance to South Florida. 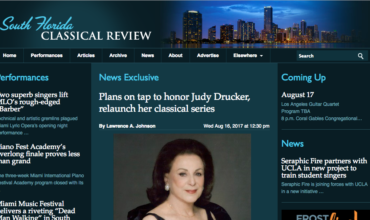 Judy loved seeing all of her old friends and making new friends at this special and memorable event. 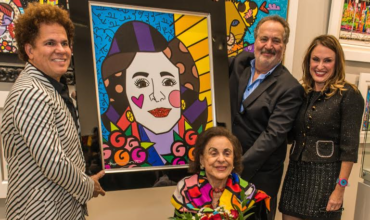 We would like to extend our gratitude to Romero Britto for the stunning new painting commemorating Judy’s great cultural efforts and to the entire Britto team for the warmth and kindness that they have shown to Judy. 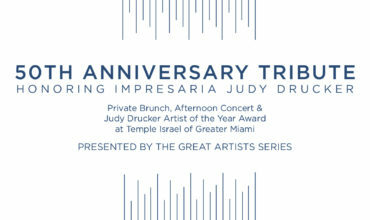 A Very Special Thank You to our gifted performers Michael Klotz, violist, and Misha Vitenson, violinist, of FIU Miami Beach Urban Studio and the Amernet String Quartet for their beautiful performance and to the incomparable Nicole Yarling for her stunning vocals and helping all usher in the holiday season in harmony. Thank you to the professional catering teams of Green Eggs Café and Potions In Motion, our photographer, Paul McDermott, our cinematographers, Krisstian de Lara and DonQ Lee and for extending special rates to us for this wonderful reception. Special Thanks to Louis Zaydon of Downtown Flowers, Inc. for providing the gorgeous red roses; to Marlen Caudron of Viv’s Little Waffle Shoppe and Michelle Ricci for their tasty waffles and cake goody bag creations; to our Interns, Ari Temkin and Karina Soria, and to the beautiful flower girls, Autumn and Amber Lee. Please enjoy the reception photos by Paul McDermott’s Photography on our Gallery. We look forward to seeing you, your families and friends at our upcoming events. Have a very Happy and Healthy 2017!! !